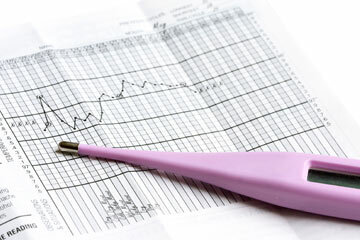 Many fertility problems can be traced to hormonal irregularities. Other conditions stemming from hormone imbalance include polycystic ovarian syndrome (PCOS) and fibroids. Unfortunately, hormone tests are not as straightforward as other medical tests. When you measure the level of glucose or cholesterol in the blood, the single test can tell you whether you have high glucose or high cholesterol. With hormone tests, you need a skilled medical practitioner who knows your history and take the time to "connect the dots". As this complex condition is still not well understood by many physicians, they may treat based on the symptoms, by prescribing antidepressants or hormone replacement therapy (HRT). This approach usually assumes that estrogen is the only cause. But all hormones are interrelated, and imbalance in one hormone often affects all the other hormones it is linked to. Hence, there's no single approach to solve the imbalance. The biggest mistake is to introduce more hormones into the body. If you lack a hormone, artificially increasing the level of that hormone will create a spillover effect on other hormones, leading to more problems. Instead, the best approach is to provide support for your body to restore its hormone balance naturally. When your body is healthy and strong, your hormone levels will go back to normal. Click here to learn about the Role of Hormones in your Body. There is an easy, natural way to balance your hormones. Click here to discover why choose Lingzhi and Pollen. 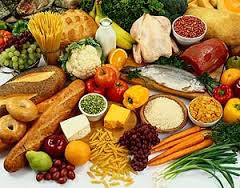 Eat a balanced diet - with a variety of fresh fruits and vegetables, high quality protein, whole grains and healthy fats. Cut down on sugar and refined carbohydrates. Top up your fibre with Jia Hor Fibre. Click here for the Special Features and Benefits of Jia Hor Fibre. Ensure you have enough protein by supplementing with Jia Hor Soya Protein. Click here for How to Choose a High Quality Protein. Boost up your micro-nutrients with Yung Kien Bee Pollen. Click here to discover the Endless Benefits of Bee Pollen. Reducing stress levels contributes a lot to hormonal balance. It takes a conscious effort - perhaps change your outlook on life, change certain routines of your personal and work life, and take things slower and easier. There are many chemicals that have estrogenic effects in your body, called xenoestrogens. 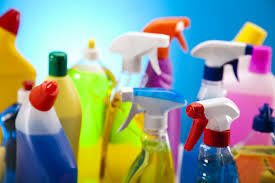 These toxins can be found in pesticides, detergents, petroleum products, plastic products and even cosmetics. If you're looking for the best biodegradable natural detergent and all-purpose cleaner which are made of enzymes, click here to learn about GoEco products. Give your body a comprehensive Detox and boost up its natural healing ability with Yung Kien Ganoderma. Click here to find out How Does Lingzhi Work on Your Body. Lack of sleep affects the hormone melatonin, and stress hormones adrenaline and cortisol. Lack of exercise affects our insulin and cortisol levels. So how can you treat your body better? Make lifestyle changes such as.. Exercise more. Get sufficient sleep. Please email me at askfuiping@gmail.com to buy these "hormone balancing" products or to have your questions answered.